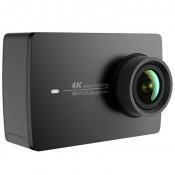 High-resolution options allow you to get videos of superior quality including arguably the most popular 4k. And advanced video stabilisation greatly adds to the functionality of the device. The housing tends to heat up when you film at 4k. Being the newest model produced by GoPro, the Hero6 will meet requirements of the most demanding users. The manufacturer has improved the best features of previous models to make video recording a more convenient process. 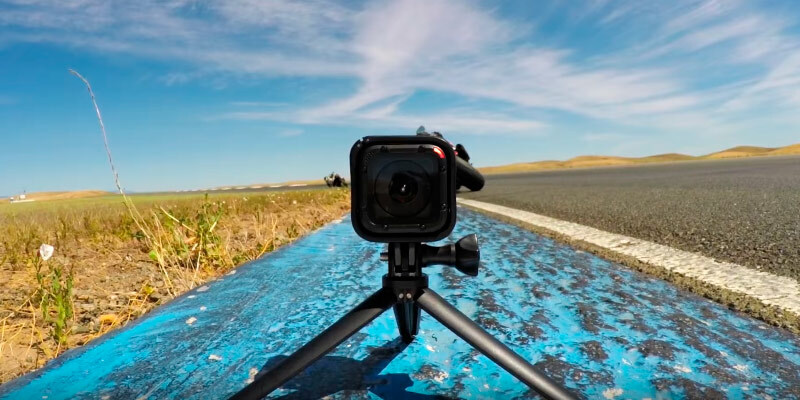 The device offers a level of protection against shock and dust that no other GoPro model (or an action camera from any other company, for that matter) has been able to match yet. A 2-inch touch display is convenient and easy to use. Unable to film for a prolonged period of time at Ultra HD resolution. If you aren't just a show-off that only cares about the looks and instead like to spend your vacations living your life to the fullest, you will definitely find some use for the rugged and robust GoPro HERO 5 Black Edition. 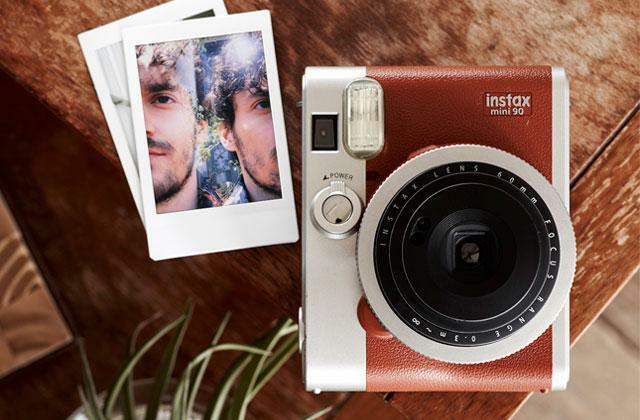 Voice control option makes the use of this camera easier. Enjoy hassle- and hands-free control over the main functions of your Hero 5 Session. 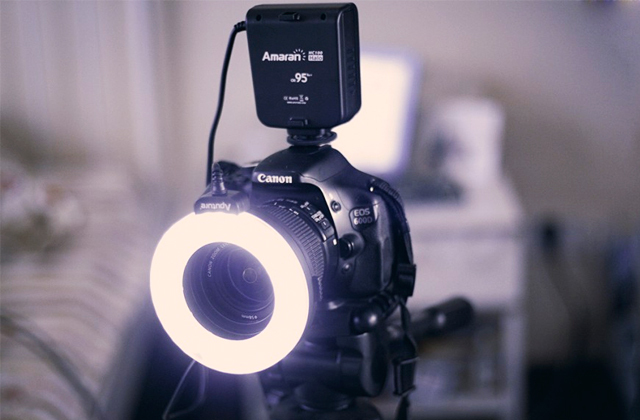 The quality of photos and videos tends to suffer if the lighting isn't bright enough. A great choice of video resolution options, high quality of photos, various interfaces, and voice control make it easy for you to capture the best moments of your sports life with the Hero5 Session. Thanks to the compatibility with all GoPro mounts, this model can be attached the way you need to record any of your adventures, be it snowboarding, hiking, racing, or diving effortlessly. The Wi-Fi connection leaves a bit to be desired. 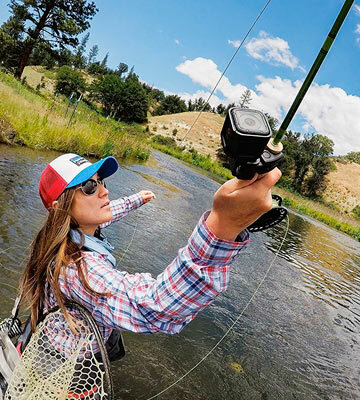 Truly universal and wallet-friendly, the GoPro Hero will become a great choice for amateur users who are into several kinds of sports and don't need a camera with the highest-tech specifications. The manufacturers have been able to improve the waterproofing part of the camera up to a whopping 131 feet (40 metres), meaning this isn't just a model you take to capture some coral reefs around the coast but something you can take with you on your upcoming deep diving adventures. The device doesn't have any built-in memory. GoPro HERO+ is a great choice for those that have an adventurous soul but do not necessarily have a few extra hundred pounds to spend on an accessory that won't help them make timeless memories but could certainly capture some of them. Being the latest model on sale at the moment, the GoPro Hero6 Black has many outstanding features that differ it from the previous versions, while being almost the same in design. The first feature worth mentioning is the ability of the camera to record videos in HEVC format. This is one of the latest video compression technologies that is believed to become a serious rival to a popular H.264 MPEG4 format. The advantage of this video codec is that it delivers images of better quality but of smaller size. Thus, you can store more HEVC videos than you would store those recorded in MPEG4. Another feature standing the Hero6 Black model apart from the competition is the maximum still resolution of 12 MP which is the highest compared to the other models. One more useful feature is a GPS interface which allows tagging locations of the footage. The GoPro Hero6 is compatible with a great number of accessories. Depending on the kind of sports you do, you can attach this camera to a curved adhesive mount, flat adhesive mount, or a mounting buckle. 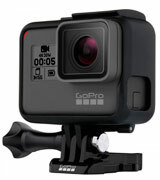 Users of this model say that this camera can also be attached to other GoPro mounts, so if you have an older version of GoPro with some accessories, you'll likely be able to use them with this one, too. All in all, with innovative technologies and such great mounting compatibility, the GoPro Hero6 Black is a new word in video recording that will come to your liking if you strive to capture shots of your life in the best possible quality. Although we’ve already listed the most outstanding features of the GoPro Hero6, its benefits do not end here. What else will surely please you about this cam is its functionality and incredible usability making it choice #1 among professional and amateur video makers. 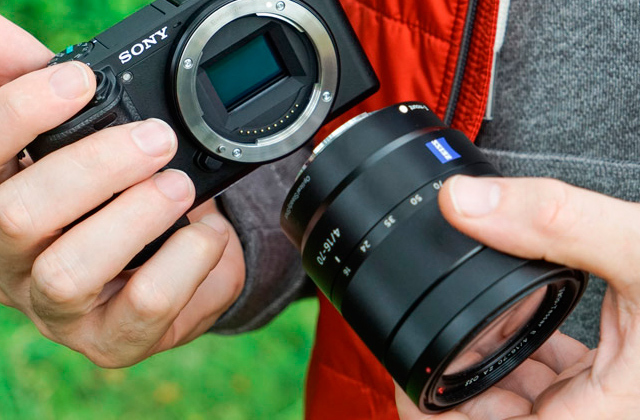 The camera provides five resolution options and supports slow-motion enabling you to make an awesome video footage. Also, it features advanced video stabilization allowing the use of the camera in all conditions including harsh and extreme. Thanks to the QuikStory program supported by the cam, all recorded photos and videos can be sent right to your smartphone or tablet where you can view them later on a bigger screen. It won't be an exaggeration to say the GoPro Hero6 is a great equipment for those who wish to record a high-quality footage. In addition to 12 MP still resolution, the camera features a time-lapse option allowing you to make a series of photos and then combine them in a video, as well as supports one of the newest formats - HDR - which prevents overexposure and underexposure of photos. 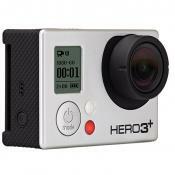 It has all the features of the previous GoPro models and offers some really breakthrough, making it worth every sports enthusiast. When you're up on the tallest mountain carving your way through a double black diamond piste or 30 feet underwater swimming by the most dazzling coral reef, there aren't a whole lot of things you want out of your action camera. 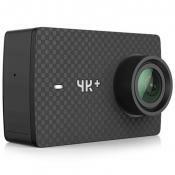 Sure, an action camera is still a camera, so the list of your usual requirements towards regular cameras still extends to your action ones, and, by the way, the product in question delivers in most of those aspects, but all in due time. When you're dealing with the aforementioned scenarios, you want your camera to be able to withstand whatever mother nature might throw its way and you want it to be user-friendly enough so it won't inconvenience you when it matters most. And that is precisely why a model like GoPro HERO 5 Black Edition is one of the most sought-out action cameras out there. The main idea behind this iteration of the GoPro Hero line was quite simple - the manufacturers have simply decided to double down on what makes an action camera, well, an action camera, and that is a rugged case and housing capable of holding their ground against a serious amount of abuse. 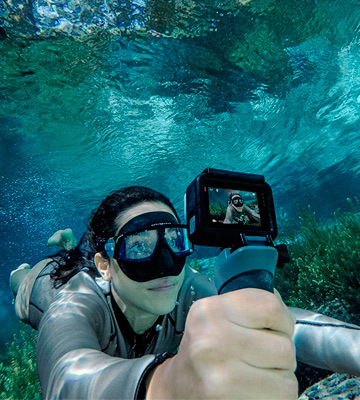 While just about any GoPro product features a decent waterproof construction and a robust body, the model in question takes it up a notch, offering protection against shock and dust that no other GoPro model (or an action camera from any other company, for that matter) has been able to match yet. Aside from the rugged construction, one of the more important aspects of the model is the sheer convenience of the entire thing. 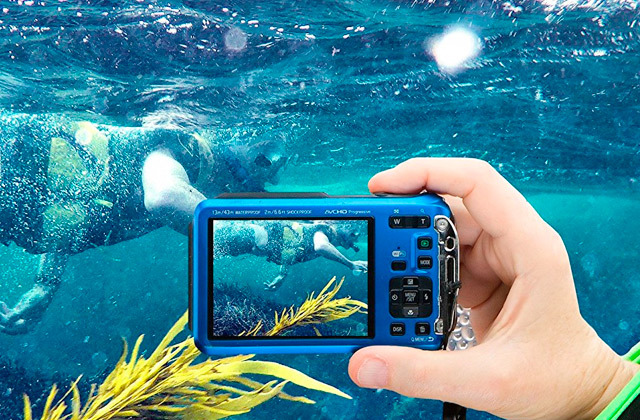 Now, you might think that just about any GoPro waterproof camera doesn't require a degree in rocket science or a whole toolbox to make it work, but very few of them will be able to match this model in terms of effortless operation and simplicity. A 2-inch touch display will allow you to preview and playback your shots, change any setting you want, and trim the footage that you just shot. Of course, if you're up on a mountain snowboarding in a pair of mittens, that touch display won't be able to do you any good, but that is exactly why the manufacturers have implemented an already synonymous with their products one-button control option that powers the camera on and starts recording automatically. On top of that, there's also a voice control feature that is capable of recognising a few basic voice commands, which is another characteristic that any modern-day action camera will be able to benefit from. Finally, this GoPro action camera does not trail behind in terms of those aspects that you'd expect out of any decent camera, like the ability to shoot 4k videos or full HD ones@120 frames per second. The video stabilisation option is there and so is the Wi-Fi function. And unless you're planning on shooting an entire feature film in the Ultra HD resolution, the battery will easily be able to last for a couple of hours. And that's about all there is to it. If you aren't just a show-off that only cares about the looks and instead like to spend your vacations living your life to the fullest, you will definitely find some use for the rugged and robust GoPro HERO 5 Black Edition. 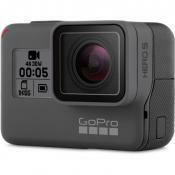 Although the GoPro Hero5 Session is a predecessor of the newest Hero6, it has many great specifications making it a popular model on the market. One of the biggest advantages of this model is that it offers more options for video resolution allowing you to shoot videos in an amazing range of 720p – 4K, depending on the setting and purpose. The camera features 170° viewing angle and records videos in the H.264 MPEG4 format so you can achieve the immaculate quality of images no matter what resolution you choose. Another feature which is worth mentioning is the improved noise cancellation. Thanks to it, the recorded videos will not only look good but also sound good. If you subscribe to the GoPro, you'll have an option view, edit, and share your photos with other people, as well as back up the recorded footage in the cloud. The GoPro Hero5 has a great number of interfaces including MicroSD Class 10 (or UHS-1) up to 64 GB, Wi-Fi, and Bluetooth, meaning you can easily transfer photos and videos from your camera to other devices and, as it features USB-C technology, you can do it really quickly. 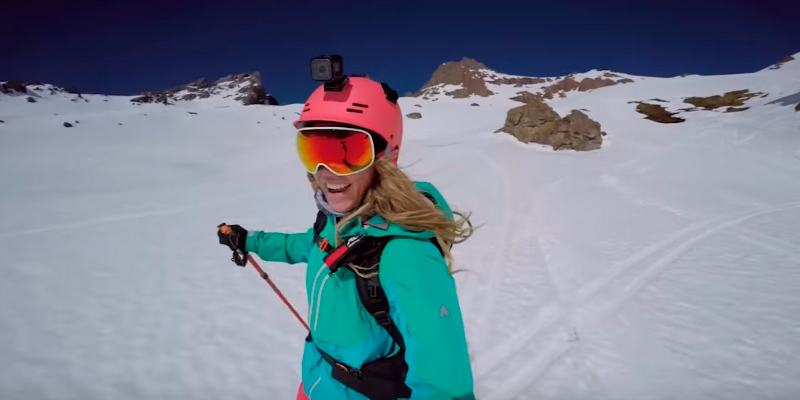 With this range of functions, the GoPro Hero5 Session will become your irreplaceable assistant no matter what sports you do - skiing, diving, or racing. One of the first goals of the GoPro company was to create the type of cameras that would provide users with a free hands experience during sports activities they do, allowing them to capture exciting moments effortlessly. Which is why all GoPro cameras are made so that they could be conveniently mounted to a bike helmet, bike handle, or anywhere else for comfortable use on the move. With regards to the GoPro Hero5 Session, on top of the many mounting options, it offers some great usability features which simplify its use. It comes equipped with a one-button control which turns the camera on and triggers recording and allows for voice control making it even more convenient to operate. 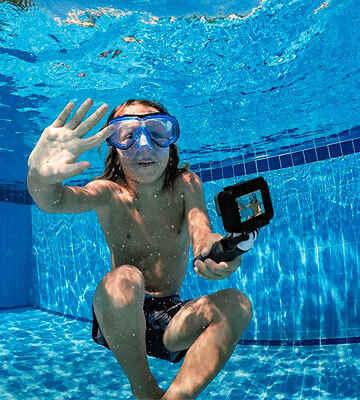 But the biggest selling point of the GoPro Hero5 Session is that it has a waterproof design and can be immersed in water without any special housing, unlike some other GoPro models. Choose it now and have a reliable companion with you where you go and whatever you do. 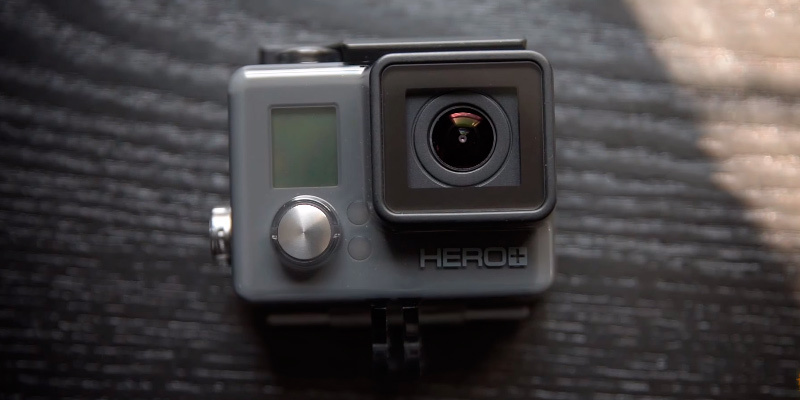 The GoPro Hero Session is created for those who want a simple and affordable action camera. 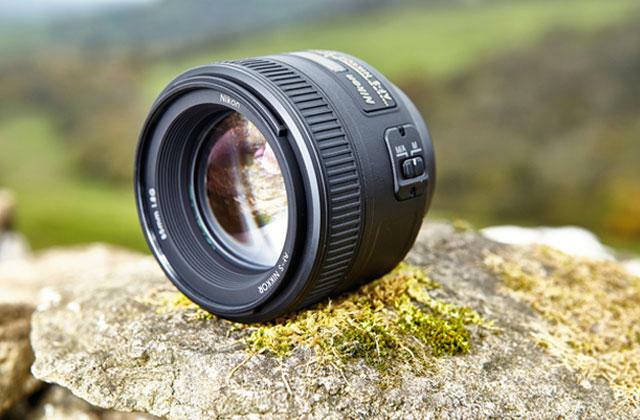 It has all the basic functionality and allows for taking quality footage under all conditions. 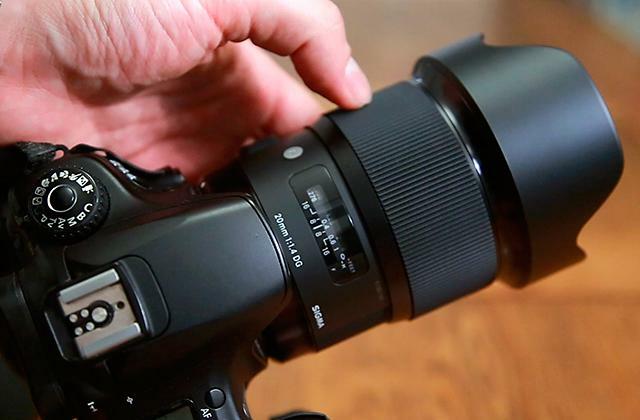 The camera supports four resolutions (1440p, 1080p, 960p, and 720p), has the maximum still resolution of 8 MP, features 10 FPS, and includes a time-lapse option allowing you to get both great pictures and amazing videos with different visual effects. The Hero Session has a micro USB port and comes including a MicroSD card for storing recorded photos. It also supports Bluetooth and Wi-Fi, which means you can sync it with your phone, for example, and control all settings from there. 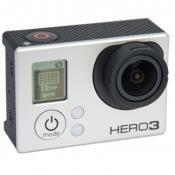 Like more expensive GoPro models, this one boasts a capacious battery and will last up to two hours of intensive use. On top of that, it boasts great protection allowing you to use it safely in the mountains, desert, or underwater at the depth of 33 feet. 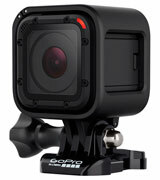 Not dissimilar to the other models we reviewed, the GoPro Hero Session can be secured in several ways. Depending on where you use it, you can choose a standard frame, curved or flat adhesive mount, or a mounting buckle. 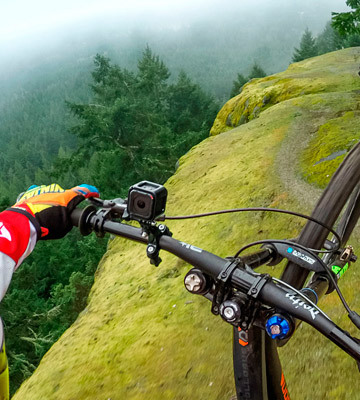 As you might have already noticed, most GoPro action cameras have a time-lapse option. 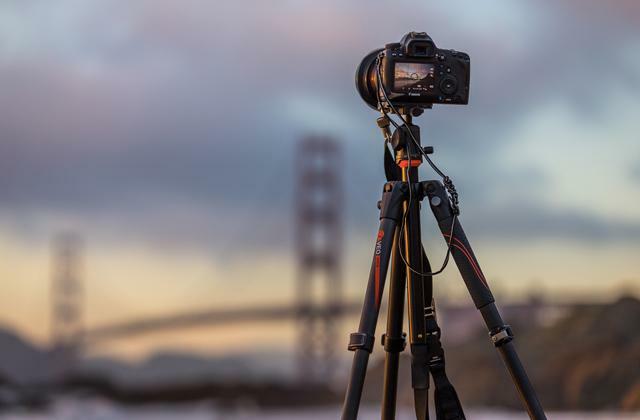 It has already become very popular and we can often see time-lapsed shots of natural phenomena, city life, and other changing events on the Internet. So what is the time lapse and why you might want to use it on your GoPro? This option is often confused with speed-up video but there’s a difference. When you speed up your video, the program simply cuts off every other frame of it to make it faster. 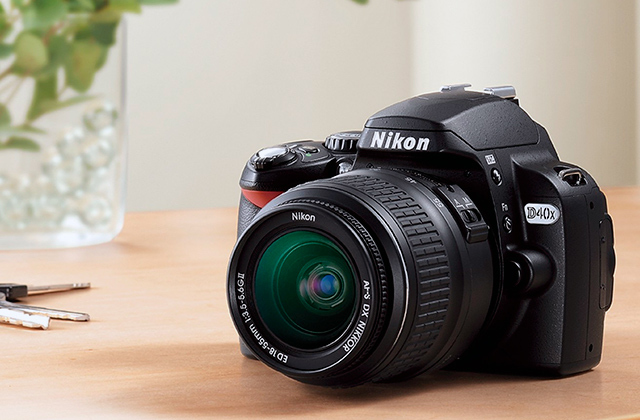 A time-lapse option, in turn, plays all shots without reduction. 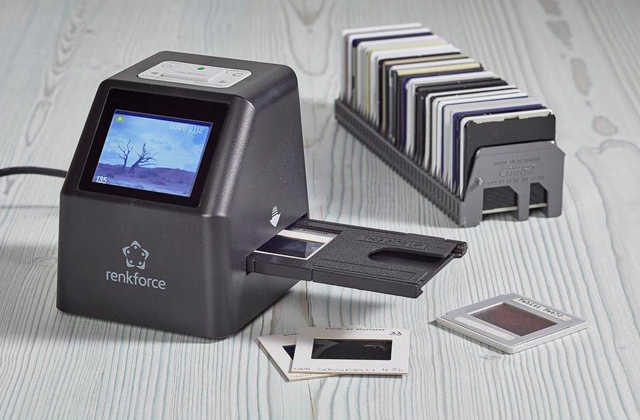 This allows you to make sequenced still photos at certain time intervals so that you get many hours of photos contracted into few seconds of exciting video. Videos made with the use of time lapse option are extremely detailed and can tell the story of your travel in seconds. A lot of GoPro users combine time-lapsed videos with common ones to get the fuller picture of their adventures. If you haven’t used this option before, don’t hesitate to try its benefits out for yourself and it might become your favourite photo option among those offered by GoPro action cameras. Let's face it - travelling is an expensive hobby. Unless your idea of the latter consists of visiting your friends in a town 70 kilometres away from your home, it can easily cost you a pretty penny to, say, purchase a return ticket for you and your family, book a decent hotel room not too far away from a ski resort, and that's not taking into account all of the obligatory spendings there. Which is why it is so important that GoPro, a company that is mostly known for their top-of-the-line yet not always necessarily affordable action cameras, doesn't forget about those customers for whom every penny matters, with their GoPro Hero+ being a good testament to that. Sure, this may not be the best GoPro camera out there. Even though the device is capable of shooting videos in full HD at 60 frames per second, you won't be able to capture your surroundings with the Ultra HD clarity since the model doesn't support the 4k resolution. Furthermore, this gadget is capable of reproducing no more than 8 megapixels, which is a respectable number that, nonetheless, trails in comparison to the more expensive GoPro models out there. Having said that, we have to take into account that this is a camera that costs half the price of your average GoPro action camera, which is precisely why all of the aforementioned characteristics are far more impressive given the sort of price tag the model comes with. By the way, even though we're talking about one of the cheapest GoPro cameras that the eponymous company has to offer, that doesn't mean that what we have here is an unremarkable product that doesn't have anything going for it except for the price. For starters, since the developers decided to give up some of the more sophisticated features, they have been able to improve the waterproofing part of the camera up to a whopping 131 feet (40 metres), meaning this isn't just a model you take to capture some coral reefs around the coast but something you can take with you on your upcoming deep diving adventures. 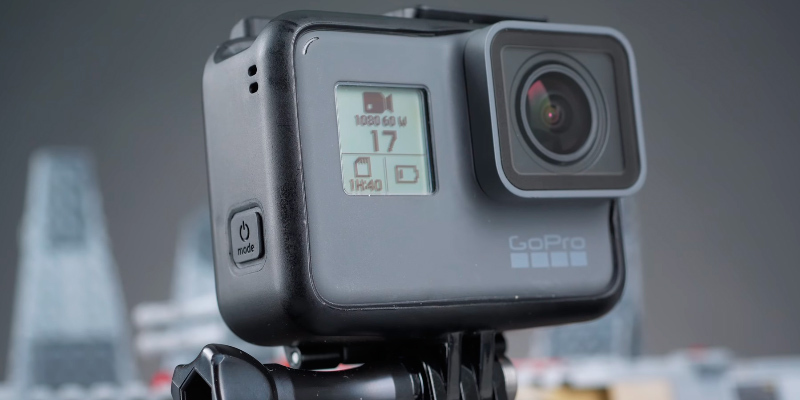 Naturally, the removal of the aforementioned features also did wonders for the case's sturdiness, allowing the team of experts at GoPro to construct a truly rugged design that can take some real beating. Now, even though the company decided not to specify the model's field of view, the majority of users noted that the latter is ultra-wide and impressive even by the GoPro standards. And that's not to mention the SuperView option that you can utilise if you're shooting in regular HD to capture video with an even wider field of view. 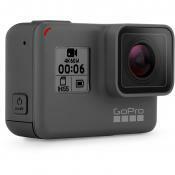 Other than that, the model comes with a built-in Wi-Fi and provides you access to the GoPro Studio software, which is a basic and user-friendly editor that you can use to add filters, adjust playback speed, and remove fish-eye distortion. To sum it all up, GoPro HERO+ is a great choice for those that have an adventurous soul but do not necessarily have a few extra hundred pounds to spend on an accessory that won't help them make timeless memories but could certainly capture some of them. What Is an Action Camera Go Pro? Established a little bit more than a decade ago GoPro company has become one of the most popular companies in the industry of electronics. It's become a true breakthrough in video recording and very soon gained overwhelming recognition all over the world, all thanks to the company's professional approach to business. The thing is that people behind GoPro focus not only on manufacturing quality equipment and accessories but also providing their users with the best means for capturing their most memorable moments of life and adventures. That's why GoPro cameras are not only about high-resolution and vivid images. They also stand for enhanced protection against water, dust, and shock, compatibility with most modern technologies, elaborate design, and many mounting options, making them suitable for everyone. Although GoPro cameras aren’t the cheapest cameras you can find on the market, that they are well worth the money you will see yourself pretty soon. Keep reading our review, compare GoPro cameras popular this year, and pick the one that meets your needs. 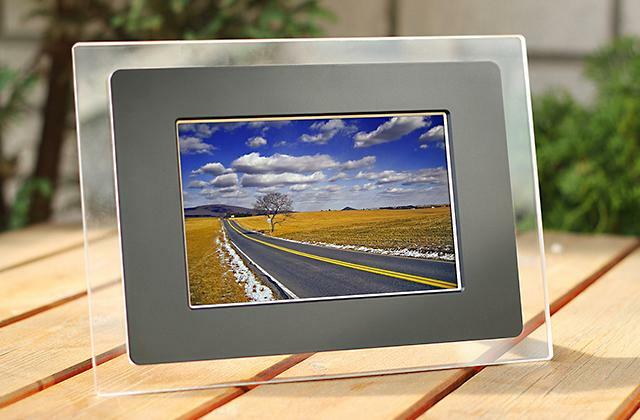 On returning home from one of your exciting trips to the mountains or sea, you may like an idea of displaying the best of your shots in a digital photo frame. Also, you may want to consider our selection of the waterproof cases designed specifically for different models of smartphones. 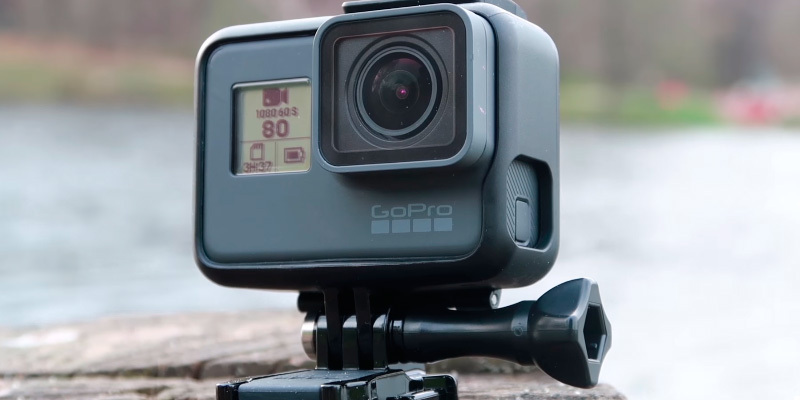 Whatever camera you choose, and GoPro isn’t an exception, the first thing you want to pay attention to is its tech specifications that are resolution, frames per seconds, and video formats. Resolution determines the size of a video you shoot and its quality. 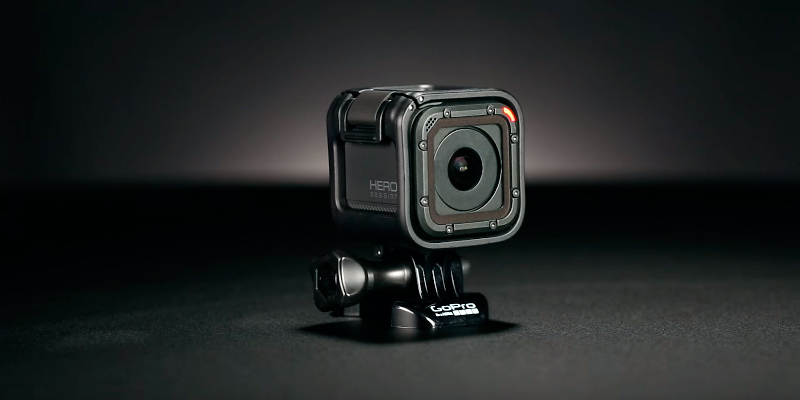 The higher resolution your GoPro camera supports, the better image you’ll get. However, keep in mind that 2.7K and 4K videos weigh a lot and will take up much space on a flashcard or your gadget. Along with video resolution, you want to pay attention to FPS or frames per second. This specification tells you how smooth your video will be. Again, it should be high (120 FPS or 240 FPS) for smooth shooting and you should have the option to create a slow-motion effect (which will definitely come in handy for those who love to edit recorded videos). As for video formats, the majority of GoPro cameras shoot in H.264 MPEG4 while the newest model supports innovative HEVC codec. Also, note that with GoPro cameras, you can make photos in different photo formats and resolution. Yet, you’ll always get images of great quality. 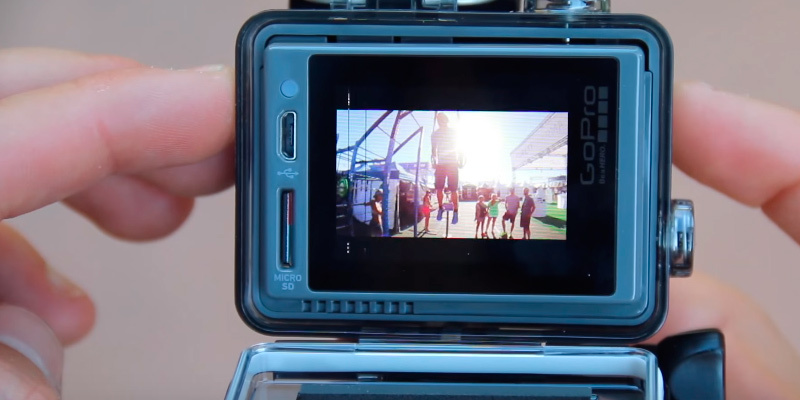 Moreover, a lot of models support a time-lapse option that adds to the functionality of GoPro cameras. 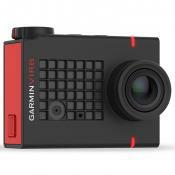 Interface is another important feature you want to consider when choosing an action camera. All GoPro gargets have a slot for a micro SD card. However, keep in mind that each model is compatible with micro SDs of different generations. The newest GoPro action cameras can also be connected to other gadgets via a USB-C cable while the oldest ones support mini or micro USB. Some models feature an HDMI interface to allow you to watch your photos and videos on a large TV or computer monitor. 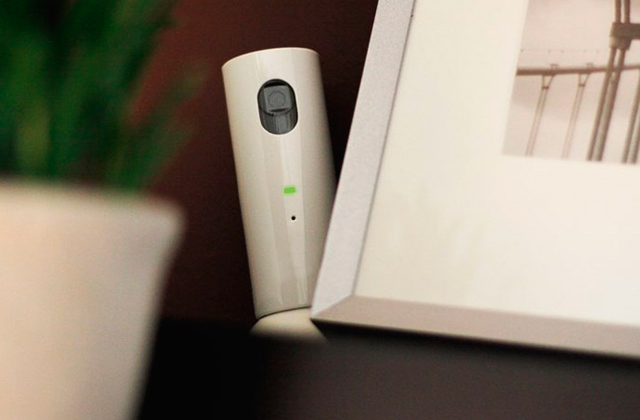 Wi-Fi option deserves your attention too since this interface can make the shooting process easier. Once you connect your camera to your smartphone or tablet via Wi-Fi, you’ll be able to control video-making process with better convenience. 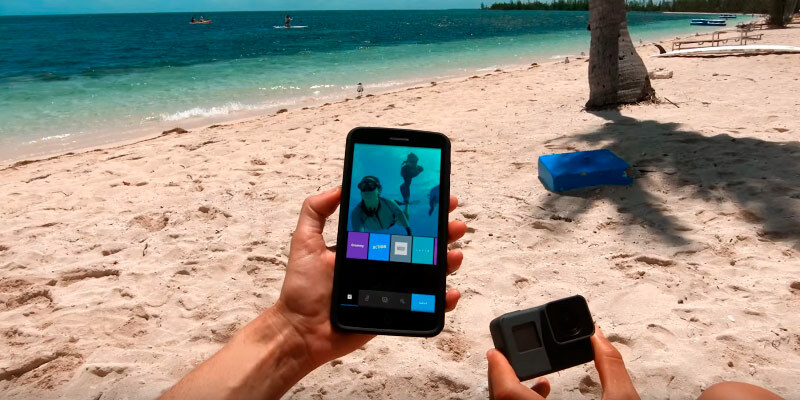 But don’t forget that in order to use this option, you’ll need to install a special GoPro app on your gadget. Finally, GPS option helps you tag a location where your videos/photos are made so that your memories become more precious. 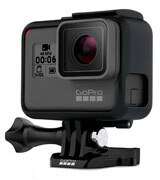 Mounts and Accessories that come together with your GoPro camera determine the ways you can use your new equipment. Curved and flat adhesive mounts allow you to attach your video recording gadget to your bike, ski, or motorcycle helmet effortlessly. The mounting buckle is one more accessory that can hold your camera on your helmet. 3-way pivot arm gives you a chance to place an action camera on your bike securely. Also, the manufacturer equips all of its cameras with USB cables saving you the trouble of looking for a suitable one separately. If you think that GoPro company manufactures only action cameras and accessories, you’re mistaken. The company also does its best to help you edit and share your photos and videos with the whole world effortlessly. One of the services that can turn your footage into a captivating short movie is the Quik software. This desktop program is created to work with all GoPro cameras and video/photo formats they support and will become a real catch for those who want to get more than a raw footage. With this software at hand, you’ll be able to create short video clips, add music to your videos in no time, edit burst and time-lapse sequences. By the way, thanks to recent improvements, you can now add photos and time-lapse videos to your main footage effortlessly. If making action videos isn’t your only hobby and you also want to track your progress in sports that you go for, you’ll appreciate the ability to add graphs to your videos that will help you and your friends know about your progress. And if you subscribe to GoPro Plus program, you’ll also have a chance to upload your photos and videos to the cloud automatically. Moreover, this subscription allows you to unlock more soundtracks for your videos. Being a company that introduces breakthrough technologies into their gadgets and software, GoPro works with the most modern gadgets, so we want you to learn a bit more about system requirements for the Quik software. This desktop program is compatible with 64 bit Windows 10 and 10.10 or later Mac OS. CPU for Windows should be IntelCore i3 while Mac requires IntelCore i5. And for even faster and better operation of the Quik system, IntelQuadCore 7 for both Windows and Mac are recommended. As for graphics cards, Windows system requires OpenGL 3.2. or later version and Intel HD Graphics 5000 or better if you want to work with 4K videos. For the same purpose on Mac, you’ll need Intel® Dual Core Macs for videos with lower resolution than 4K and Intel HD Graphics 4000 or better for creating 4K movies. Video RAM also needs to be taken into account. For both operating systems, 512 MB RAM is recommended for videos under 4K and 1GB RAM for editing 4K footage. Don’t overlook screen resolution of your monitors, too. It should be at least 1280 x 800. Finally, pay attention to RAM and hard drive specifications. Whether you’re going to work with GoPro videos on Windows or Mac, you’ll need 4GB RAM. As for hard drive, Windows system requires 7200 RPM for internal drive and USB 3.0 or eSATA for external one. Mac will handle video edition with 5400 RPM of internal drive but with 7200 RPM drive or SSD, you’ll get faster results. And if you use external hard drive with your Mac device, Thunderbolt, Firewire, or USB 3.0 is what you need for proper operation of the Quik software on your PC or laptop. All in all, the combination of GoPro camera and specially created GoPro Quik software is what you need if you want to get high-quality raw footage as well as to be able to edit your videos. 1. 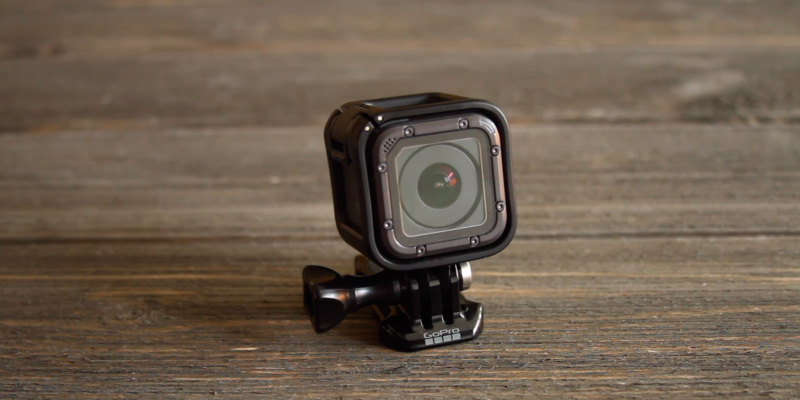 Cam Bunton, Elyse Betters Best GoPro: Which GoPro Should You Choose? Pocket-lint. December 21, 2017. 2. 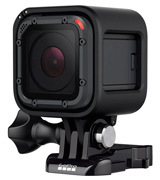 Joshua Goldman Which GoPro Should You Buy? CNET. June 3, 2017. 3. 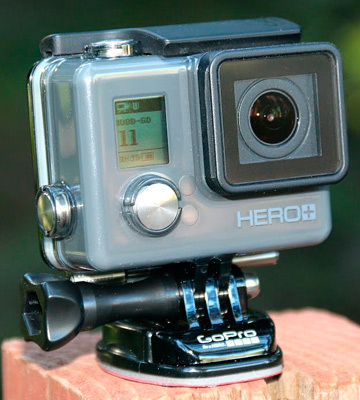 Gannon Burgett What’s the Best GoPro Camera for Your Needs? We’ll Help You Choose, Digital Trends. October 10, 2017. 4. Justin Dise, Val Lazarev The Ultimate GoPro Guide: Cameras, Mounts, and Accessories, B&H Foto & Electronics. 5. GoPro, Wikipedia. February 23, 2018. 6. 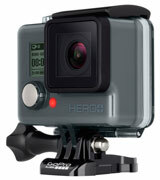 Terry Sullivan First Look: New GoPro Action Cameras Are Rugged and Ready for the Water, Consumer Reports. October 23, 2016. 7. 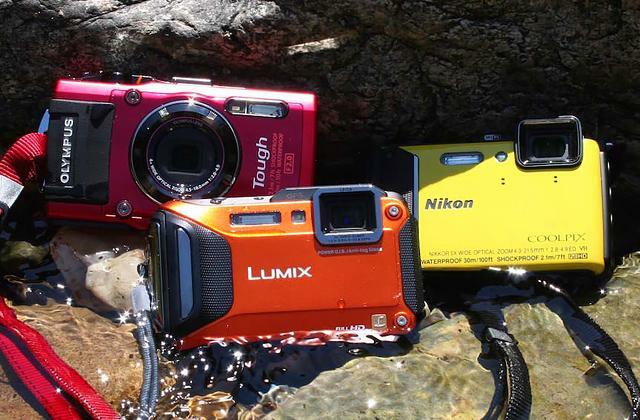 Eric Angevine How to Choose the Best Action Camera, Crutchfield.